This Consumer Health Digest content has been reviewed, as well as checked for facts, so as to guarantee the best possible accuracy. We follow a strict editorial policy, especially related to the sources we use. Our articles are resourced from reputable online pages, with research drawn from academic institutions and peer-reviewed studies. You can click on the numbers in the parentheses (1, 2, etc.) and check out those references. The feedback form on this page can be used to report content that is not accurate, up-to-date or questionable in any manner. We do NOT intend for the information presented through our articles to replace the medical relationship with a qualified physician, nor does it represent specialized advice. Getting rid of water weight is one of the most frustrating things for any dieter, but there are fast and natural ways to reduce water retention. Who enjoys trying to button their favorite pair of jeans only to find fastening them roughly as easy as trying to fit a basketball through the eye of a needle? Everyone experiences water retention on occasion. While bloating normally indicates nothing more than hormonal shifts over the course of the month, psychologically, rocking a muffin top harms self-esteem. How to bust the bloat? While commercial over-the-counter water pills promise relief when taken regularly, these tablets upset the balance of electrolytes in the body, ironically leading to greater retention once usage ceases. Losing too much of certain electrolytes like potassium can lead to muscle weakness and can prove dangerous for those with certain heart conditions. Fortunately, natural methods to gently reduce excess water retention can restore balance. Although drinking more water to reduce retention seemingly runs counter to common sense, staying hydrated remains one of the best ways to beat the bloat. Why? Several factors come into play. Drinking more helps reduce water weight by flushing excess sodium from the body. 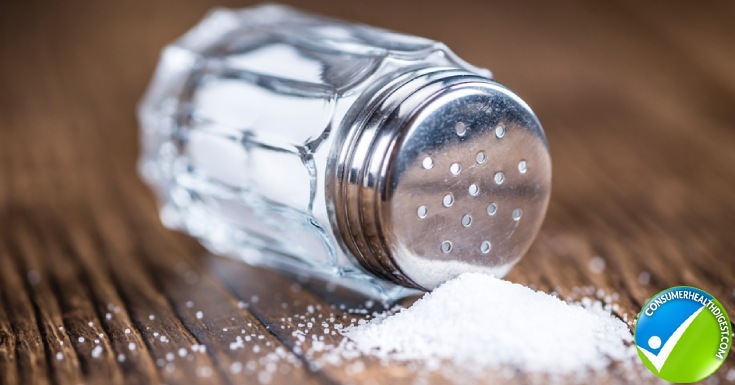 Many of the processed foods in the typical American diet contain a shocking amount of sodium even when they don’t taste particularly salty. Canned soups, lunch meats, frozen meals and even bread contain levels of sodium that when eaten together add up — and who among us hasn’t brown-bagged a sandwich and cup of soup for lunch followed by a TV dinner later on a hectic workday? Everyone knows exercise helps develop the coveted six pack, but certain forms of fitness also help reduce periodic bloating. One reason? When people sweat, they cleanse the body not only of excess fluids but also of sodium and other minerals that can trigger the cells of the body to keep water trapped inside. Cardiovascular exercise that works up a sweat can help reduce bloating. Additionally, while spot training doesn’t reduce water retention in one area of the body any more than it does fat, toning up the abdomen and other areas of excess gain can boost confidence levels and reduce feelings of puffiness. Electrolytes such as calcium, potassium and magnesium can cause bloating when out of balance. Diarrhea, vomiting and anorexia all impact electrolyte levels. In cases of severe imbalance, kidney and cardiovascular health may suffer. Those experiencing unusual itchiness or tingling in the extremities may suffer electrolyte imbalance if their bloat isn’t explainable by other factors. Physicians can measure electrolyte levels with urinalysis or a blood draw. Food cravings during certain times of the month prompt many women to reach for the salt shaker and a super-sized container of french fries. This makes symptoms worse, not better. Men, too, can experience water retention, although they often develop edema in the legs, not only the abdominal area. Potassium supplements can help cleanse the body after a salt binge but consult with a medical professional first. The best way to counteract excessive salt intake is by drinking more water. Certain yoga poses may help bust the bloat for some suffering water retention. As an added bonus, these poses also help eliminate puffiness caused by excess gas. Lying supine twists and certain other poses increase blood flow to the abdominal area. Focusing on the breath oxygenates cells, prompting them to release excess water. As some natural health experts point to stress as a potentially aggravating factor in water retention, the relaxing properties of yoga can help counteract this imbalance. Certain supplements can help people shed excess water weight more easily. Two notable supplements to try are magnesium and vitamin B-6. Vitamin B-6, found in red meats, prompts the body to excrete more fluid. Vegetarians and vegans unwilling to consume meat can also find high quantities of this vitamin in brown rice. Magnesium likewise tells the body to release excess water but exercise caution. Too much magnesium can cause diarrhea, creating the opposite effect. Even those who eschew diuretic tablets may unwittingly develop rebound bloating from imbibing in beverages that encourage water retention. Both coffee and alcoholic beverages can make belts tough to buckle. Everyone has heard the saying about coffee getting people “going,” and excess water loss due to bathroom breaks can result in the body fighting to keep the moisture it needs. Alcohol contains many calories in addition to causing frequent runs to the loo, which can lead to weight gain. Sadly, some patients who have undergone bariatric surgery to treat morbid obesity switch addictions by substituting alcohol for compulsive overeating as their stomach capacity shrinks. The horsetail plant many landscapers use to build a beautiful backdrop for gardens may help decrease water retention naturally. Although no direct evidence exists to support the claims of horsetail as a diuretic, anecdotal evidence over the centuries have made this plant a staple of many herbalists. 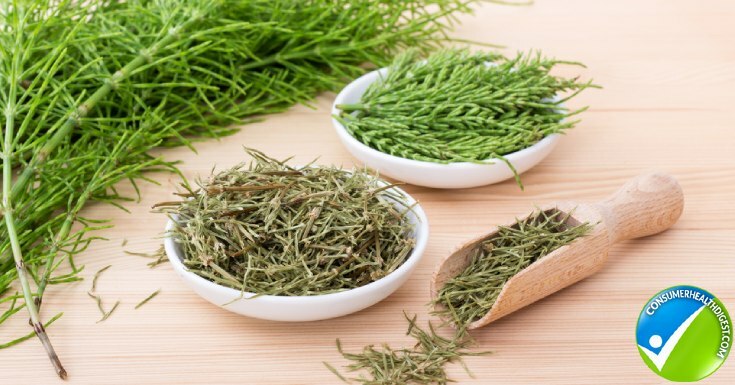 As an added bonus, horsetail may stave off osteoporosis, and its antimicrobial properties may help alleviate bladder infections more quickly. Those who drink alcohol excessively, though, do well to pass on this potential remedy, as the combination can drop vitamin B-1 (thiamine) levels precipitously. The plague of those who value an unblemished green lawn, dandelions can help those lugging around a spare gallon of water on their waist (or so it seems). In one case study in the Journal of Alternative and Complementary Medicine indicated increased urine output with every two doses of the herb. Dandelion may decrease the efficacy of several types of antibiotics, so those suffering from ailments requiring their use do well to abstain until their course of medication complete. Those with gallstones benefit from a trip to their physician prior to using the herb to eliminate side-effect risk. Finally, those plagued with water retention may benefit by brewing up a nice cuppa parsley tea. The plant additionally provides a boost of vitamin A and C. Simply mix two tablespoons of the herb with one cup of water, steep for a few minutes and enjoy. Not near a microwave? Adding a few sprigs of parsley to a reusable water bottle also produces a diuretic effect, although a milder one. Regardless of preparation, parsley may cause premature labor in pregnant women, so hold the garnish until after delivery. Water retention plagues nearly everyone at some point in their lives. Though bloating usually results from simple hormonal shifts, feelings of discomfort lasting longer than two weeks indicates the need for a trip to the physician. In most cases, natural remedies help the majority of people fight and win the battle of the aqua-bulge.